Roy Azevedo, a nearly three-decade Raytheon (NYSE: RTN) veteran, has been appointed president of the company’s space and airborne systems business in a move that will take effect on Sept. 1. He will join the corporate leadership team and succeed Richard Yuse, who is due to retire on Dec. 31 and will serve as a senior adviser until his retirement, Raytheon said Wednesday. Thomas Kennedy, Raytheon chairman and CEO and a two-time Wash100 winner, said Azevedo’s knowledge of the SAS business’ portfolio and clients and his leadership experience over emerging technologies would help advance the company’s growth efforts in the space and aerial systems mission area worldwide. 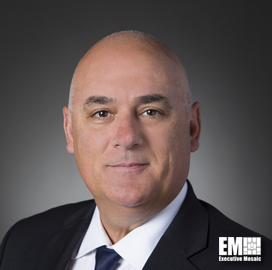 Azevedo is a member of the board of directors of Raytheon’s business in Saudi Arabia and most recently served as general manager and vice president of SAS business’ intelligence, surveillance and reconnaissance systems mission area. 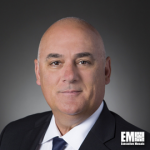 He has held leadership roles within Raytheon’s SAS business segment since joining the company in 1989, including VP and GM of secure sensor solutions mission area, VP of advanced concepts and technology and deputy VP and GM of electronic warfare systems area. Raytheon’s SAS business, which recorded $6.43B in 2017 revenue, operates in McKinney, Texas, with approximately 13,300 employees and provides sensor and radar systems on space and airborne platforms as well as electronic warfare, communications, special mission aircraft and laser systems.